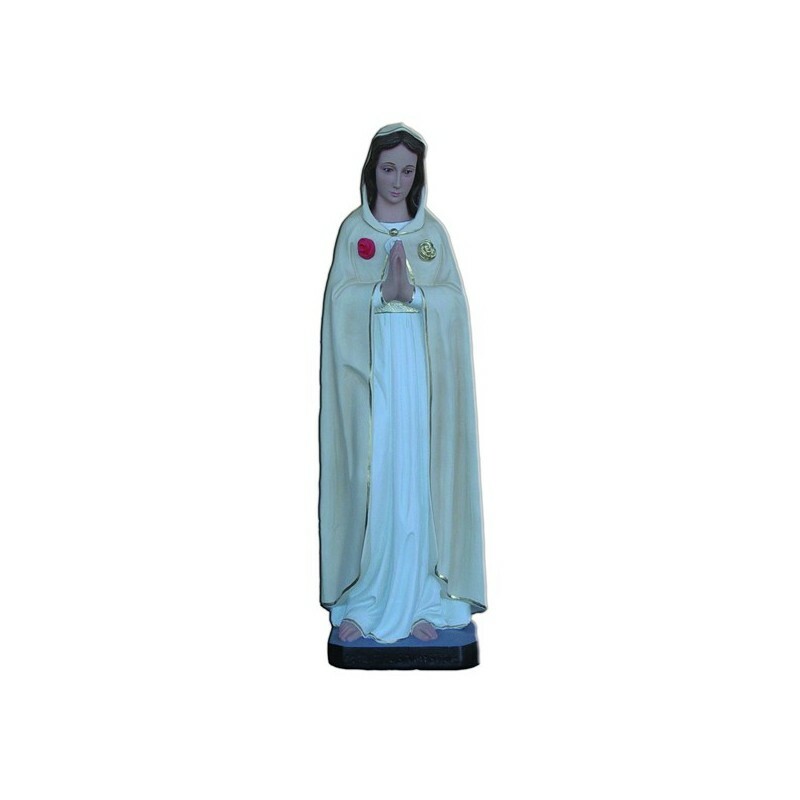 Statue of the Mystic Rose Virgin 70 cm. The Virgin appeared to the seer Pierina Gilli who was guided to the place were now it rises up the the Mystic Rose Shrine. It is in the area of The Fontanelle, near Montichiari (BS). It was inaugurated on the 17 of April 1966. The pilgrims goon their knees through the “Holy Ladder” of the shrine, acting a Hail Mary for every step. Mary is illustrated with white clothes, while she is praying and with three rose on her mantel: a white one, a red one and a yellow one. 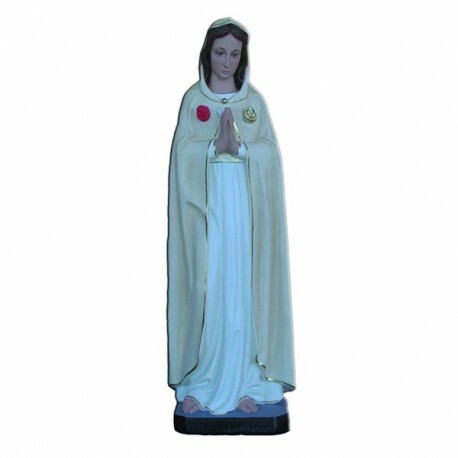 They mean: Prayer, Sacrifice and Penitence that the Virgin asked to the believers to expiate their sins.